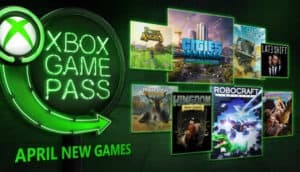 Xbox Game Pass April 2018 Additions | Nerd Much? There’s a fresh slew of titles headed to the Xbox Game Pass program in April. And a few of them may turn some heads. Next on the list, and perhaps the biggest name amongst them all, is Cities: Skylines. It’s a city-building game akin to Sim City. The game was revered upon its debut. And Paradox Interactive and Colossal Order continue to support it with fresh, premium DLC content. Kingdom: New Lands is a kingdom-building sim game. But it differs considerably from Cities in that its designed around 2 dimensional pixel art. And the fact that you’re a King or Queen governing a much older era. Portal Knights is described as an action JRPG combined with “packed dungeons and stylish storytelling.” It initially debuted back in 2016 to a 75 Metascore. ClusterTruck is a fun addition to this April’s lineup. It’s a physics based indie platformer that sees you attempt to complete various courses while leaping across moving semi-trucks – a cluster of them, in fact. And you’re never quite sure how they’re going to react to any given environment. It’s a great pass-and-play party title. Sacred Citadel is a side-scrolling action brawler. It’s been around for a while, originally releasing in 2013. Developed by Southend Interactive and published by Deep Silver, the game scored a mediocre 61 on Metacritic. May is sure to bring us another fresh batch of games for Game Pass subscribers. Check back in a few weeks and we’ll break them all down for you.